Please read all info and ask any questions in the regular forums before ordering. I am still doing some testing and refinement on the 'Micro Mega Node' so it will not be part of this co-op. Anticipated co-op closing date is July 16th after which revised totals will be calculated and payment emails will be sent. Payment should be completed by July 23rd. Component ordering and board production can then begin. Circuit board etching and assembly lead time is expected to be 4 weeks total. Receipt of finished boards, packing and shipping could take approximately 2 additional weeks, which may put us at the mid / end of September for you receiving the finished boards. I will work to speed the process where possible, and timely payments are always appreciated. Domestic Shipping / Handling is expected to be $6.50 flat rate. This will include a USPS flat rate shipping box, appropriate static protection bags and other consumable materials to prep for shipping. As before I will try to offer reduced rate shipping ($3.50) for orders which fit into a small padded envelope. Paypal fees will be added to each order. International Shipping will be billed at actual cost. Exchange rates will apply. Prices listed below are best estimates for each component at the quantity goal listed and should be "NTE" - not to exceed. The price listed below does not include shipping/handling, paypal fee, etc. I've tried to make best estimates for a reasonable goal on 'quantity' and price accordingly. If we fail to reach quantity levels, I will explore other options to keep the co-op on track / on budget, though a substantially lower quantity may mean canceling that particular item. Please do not ask for special shipping, handling, paypal transaction consideration, etc. While I wouldn't mind to do this for a few, if I do it for one, I should do it for all. If I do it for all, then it gets to be a very complex matter of tracking all special requests, packages, shipping, special shipping orders, etc. For this to be efficient in bulk, we need to follow a set / defined process. I appreciate your consideration! In summary, the Micro String Controller should replace the function any "SSC", but have the following benefits: smaller, cheaper, pre-assembled, more easily waterproofed, longer controller-to-node transmitting distance, more reliable data transmission, lower overall power consumption, up to 4 indicator LEDs if desired, no-contact test mode if desired. The board will come 100% pre-assembled, PIC programmed with the latest Falcon firmware and magnetic test switch installed. It will be ready for channel programming, your wire attachments and then make blinky nodes. You do not HAVE to add anything else to make blinking nodes. Simply attach your power, data, and node wires then program channel set-up. Four indicator LEDs will also be included which you can add to create a 'Mega' version if you wish. As for 2016. Same great performance, though due to popular request, the LEDs are now surface mount and will come pre-assembled. Board size is slightly larger (about .040" more in each dimension) and hole sizes are slightly enlarged to reduce the minor wire fitment issues reported in 2015. Unlike the uSC, the uAmp is solely a digital signal processor. It has no PIC chip and is not capable of differentiating different 'channels' of data the way a string controller does - it simply processes, clarifies and amplifies ANY data fed to it. Conversely, it is a simple 'plug-n-play' device. No PIC programming, firmware, channel setting, etc is required and you do not need to assign 'null' channels to a uAmp as you would with a null node. "Null Node" - Data transmission between nodes is limited to around 6-15 feet (regardless of string controller*). Installing a uAmp after a node will condition and boost the data signal strength so gaps between elements can be 50, 60, 70 feet or more if needed. Because the uAmp processes all data and does not use the "take one and pass it on" format a node does, the uAmp does not need to be programmed into the display, or take up channels as a null node does. *Note - The data stream is regenerated and retransmitted by each node. Due to this, a controller with a strong output (such as the uSC) can send data quite a far distance to the first node, however, when that data is retransmitted by the first node, the distance is again limited to around 6-15 feet. 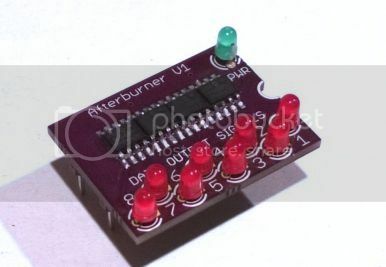 Afterburner - a MOSFET driver kit for Falcon F8 / F16V1 boards. Afterburner is designed as a simple 'drop in' kit to upgrade Falcon F8 / F16V1 boards to MOSFET drive technology like that used in the uSC - Micro String Controllers. This will boost the Falcon F16V1 or F8-to-Node distance from 20-30 feet to 50-60 feet or more. 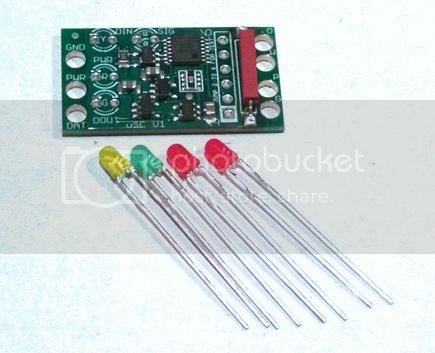 The kit is a simple hardware board and resistor array pair requiring no programming, no setting changes, no PIC processors, etc. One Afterburner kit would upgrade one block of 8 channels - ie one kit to fully upgrade Falcon F8, one or two kits for Falcon F16. You can run the Falcon F16 output 'split' if desired (ie one side using the original op-amp output for local node strings, one side with the Afterburner for more remotely located strings) without diminishing the performance of either side. If you wish to boost less than an 8 channel block, the uAmp signal conditioner/amplifier would be one option to provide the same MOSFET drive technology for individual strings. 'john.doe' in the <preferred contact email not including the @> space, then enter 'email.com' in the <contact email domain> space. As time allows, I will post and update a table of order quantities in the next post. Please double check it for accuracy, as well as your payment email. Your payment email will be based on the table and your order will be based on your payment email. Thanks for your attention and patience. You should receive a paypal notification when your shipping label is printed. "Shipped" listed on this table means your order has been delivered to the post office. It may take an additional 24+ hours for the post office to get the tracking number "in the system"
Please DOUBLE CHECK your order on arrival. If you note any discrepancies please PM me as soon as possible. Extra boards will go on sale after the co-op orders are shipped and any order issues are rectified, so keep an eye on the For Sale section. Thanks! Re: Pending ** 2017 Micro Hardware Co-Op - uSC, uAmp, Afterburner and ??? Hoping to kick everything off soon. I'm still learning, I think I need in. I have a few runs to get over 100' to the start of my lights. 100 feet to the lights - you could use multiple uAmps or just use the Differential boards that go with the F16v2, F16v3 or the very new F4v3. The differential method goes LONG distances to first pixel. Any word on the micro amp co-op. 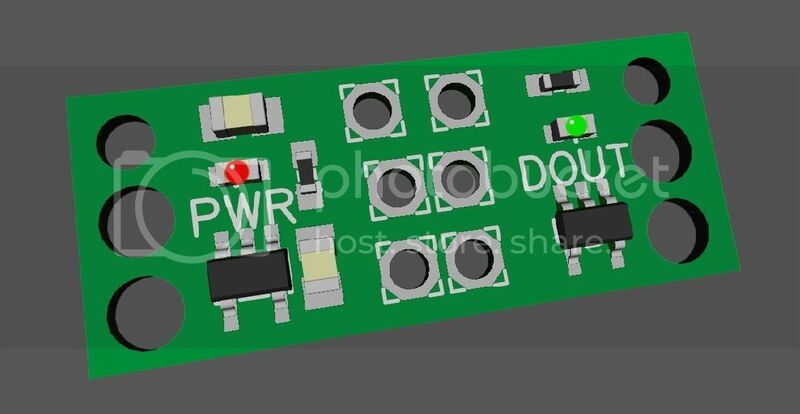 I am interested on ordering 15-20 µAmp for my Christmas 2017 display. Has the ordering began or it is too late? Still nothing as far as I've seen. I'm waiting on the announcement to begin as well.